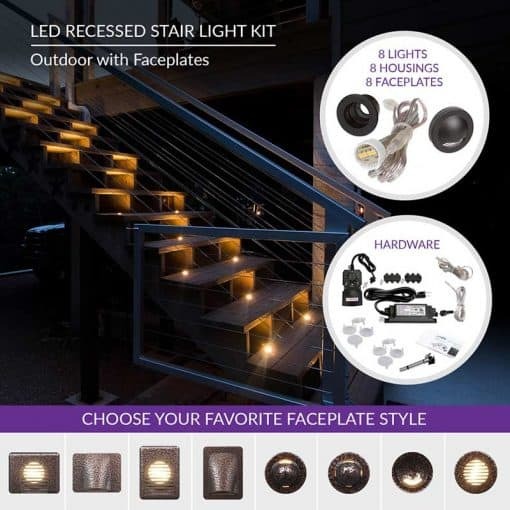 This outdoor LED recessed stair light kit allows exterior steps and stairs to be illuminated for both safety and ambiance. Perfect for decks, docks, patios, and embedding in concrete walkways or steps. 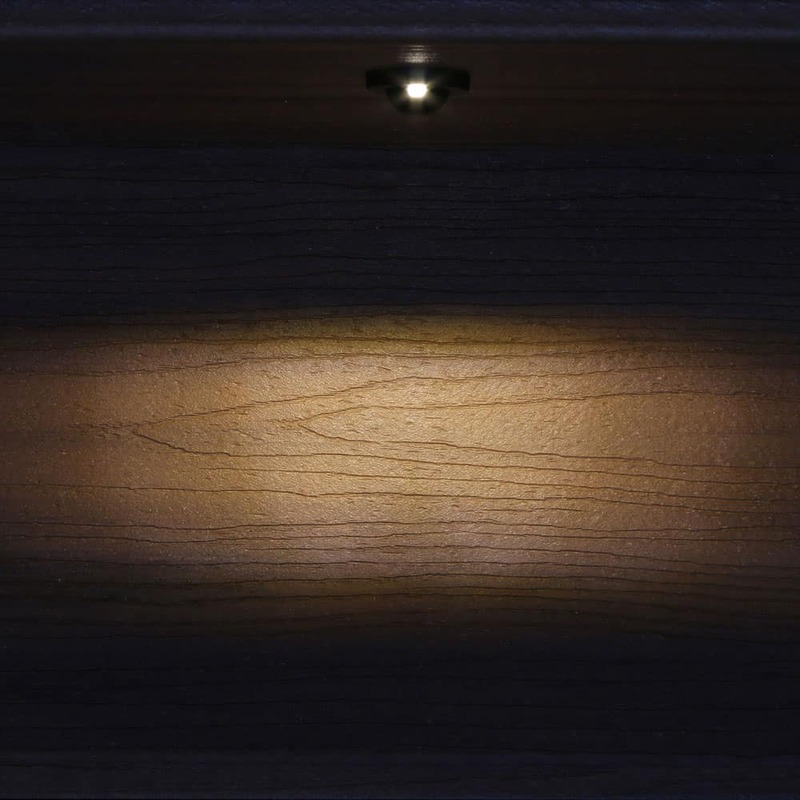 The lights have a 30° light angle and become directional simply by turning the housing. Turn them upside down for soffit or under-deck lighting. 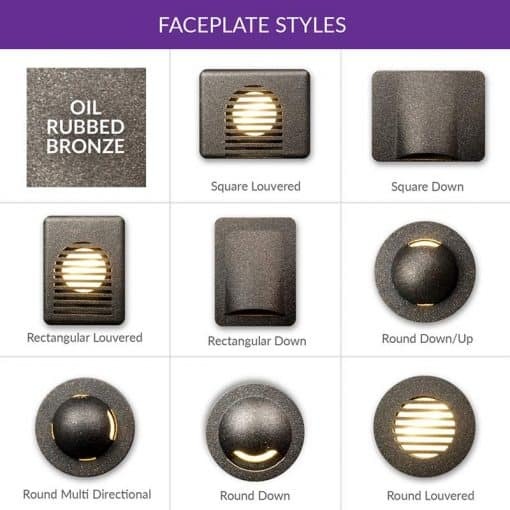 Choose from 8 LED faceplate styles to create custom accent lighting for your stairs. Each style is offered in 3 different powder coating finishes – Antique Metal Black, Oil Rubbed Bronze, and Dark Copper Vein. Faceplates arrive welded to light housing, concealing housing. Housing is only available in Antique Metal Black. Outdoor recessed LED stair lights from the DEKOR™ Millennium Collection allow exterior steps and stairs to be illuminated for both safety and ambiance. And with our 8 new LED faceplate styles, you can create a custom stair lighting experience that adds creativity and sophistication to your home. Perfect for decks, docks, and patios. 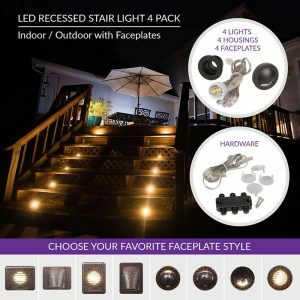 Install them under railing or handrail for a unique look. 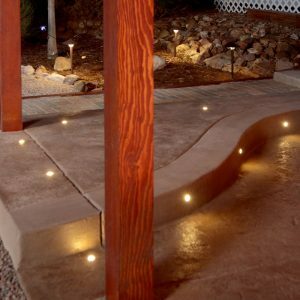 You can even embed them in concrete or pavers – wherever accent lighting is desired. These low voltage lights are easy to install, virtually flush with the surface, and hardly visible. The kit comes complete with almost everything you need, just add wire. Directional recessed LED lights. 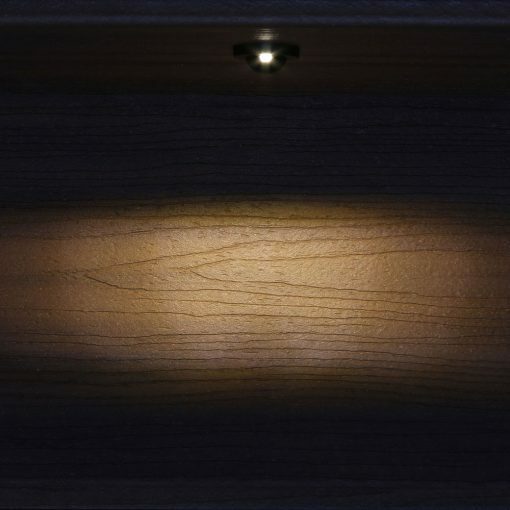 The lights have a 30° light angle and become directional simply by turning the housing. Turn them upside down for soffit or under-deck lighting. Diverse LED faceplates. 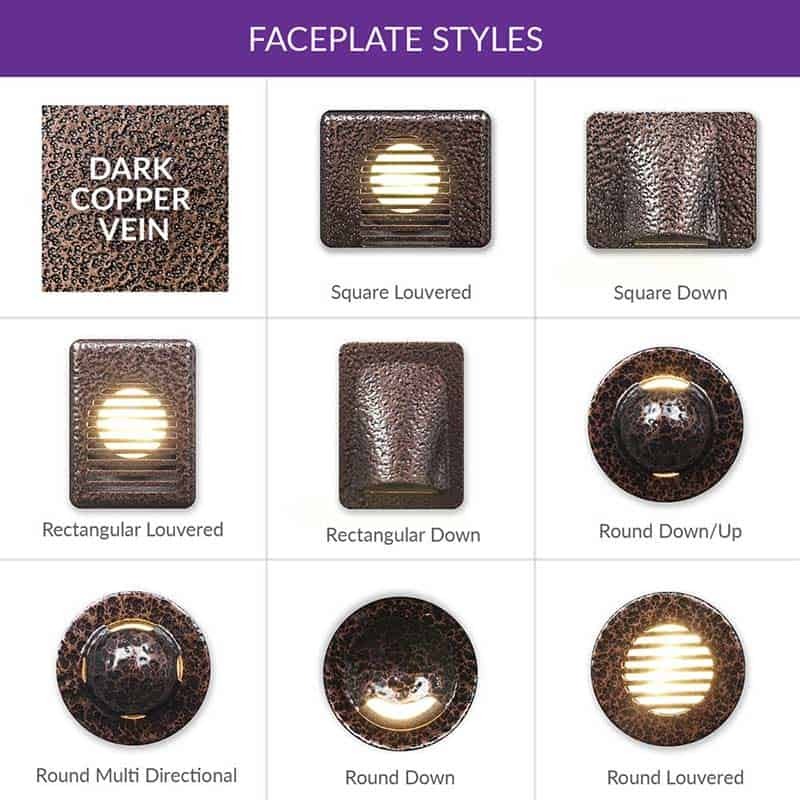 Choose from our 8 original LED faceplate designs to add a custom lighting effect to your stairs. 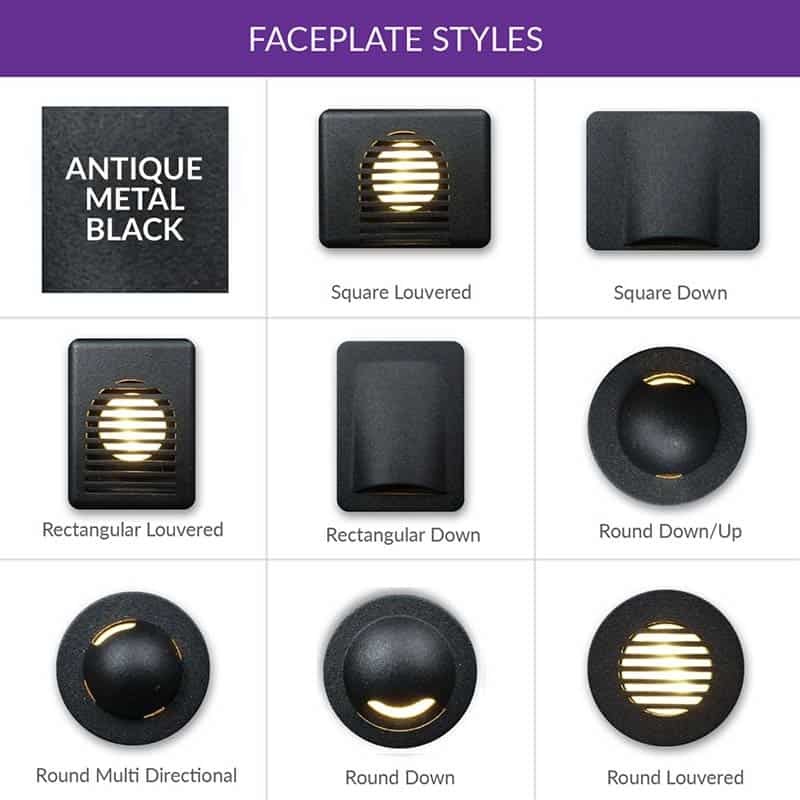 Every LED faceplate style is offered in 3 different powder coating finishes to match your home’s color scheme. LED green technology. 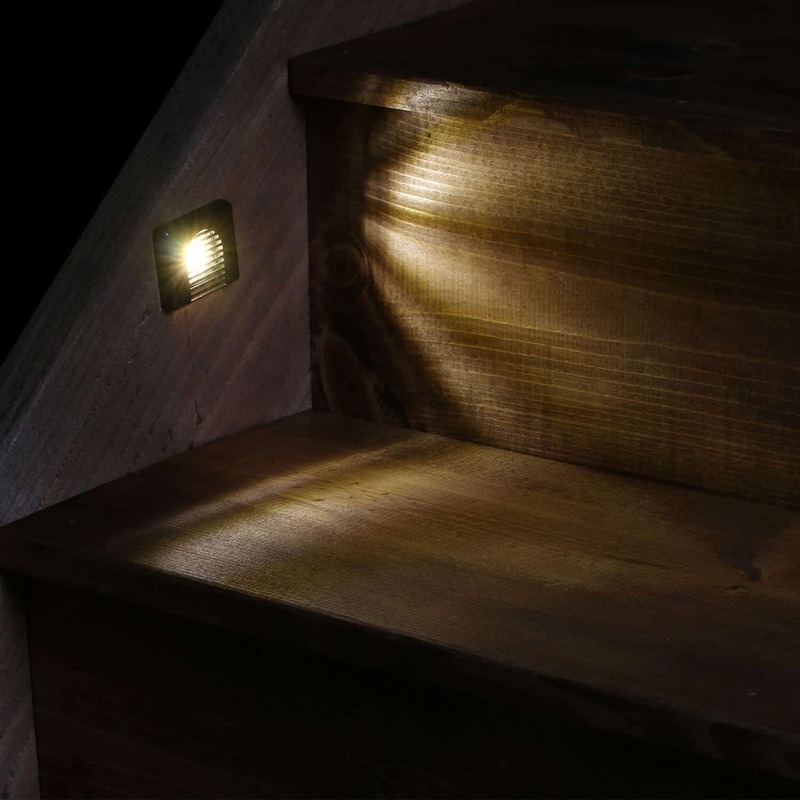 LEDs require up to 80% less energy than traditional light sources; our stair lights will save energy and money over the lifetime of the product. 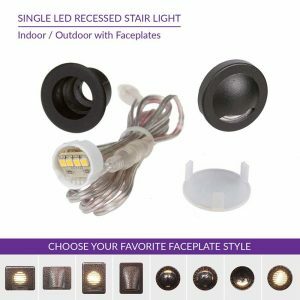 NexGen LED option not available with faceplate. Dimmable warm white light. The lights share the same light spectrum as other DEKOR lighting (3200° K), the ambiance of incandescent lighting. The lights are also dimmable with DEKOR’s EZDIMMERWP. Long lasting and durable. The lights are waterproof, weatherproof, and salt air resistant. The housing is made of alodine coated aircraft grade aluminum. The housing has a powder coated finish with built in UV protection, making it long lasting and durable. We stand behind all our LED recessed lights with our industry leading 10 year / 30 year warranty. Expandable. Our outdoor step / stair light kit comes with 8 LED lights. The kit is expandable, meaning you can add additional lights up to the number supported by the transformer or power supply. 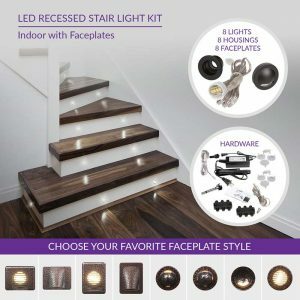 Choose from our expandable stair lights 4 pack or individually sold stair light and face plate to find your perfect lighting fit. 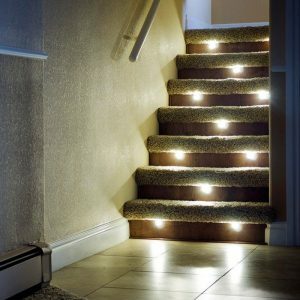 If your project requires more stair lights, always make sure to upgrade your EZ transformer. Use our transformer calculator to determine what grade of transformer you need for your desired number of lights. 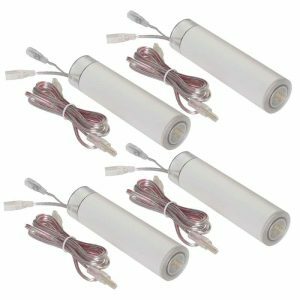 The power supply / transformer included with this kit supports up to THIRTY (30) standard LED recessed lights or TWENTY FOUR (24) NexGen lights. If you are ordering additional stair or down lights with your kit, you can select an upgraded transformer when you purchase online.